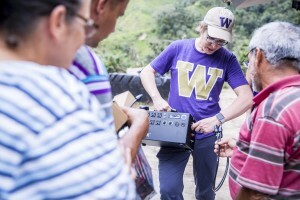 This fall, the University of Washington’s annual engineering lecture series will feature three College of Engineering faculty whose research is accelerating positive impact here and around the world. 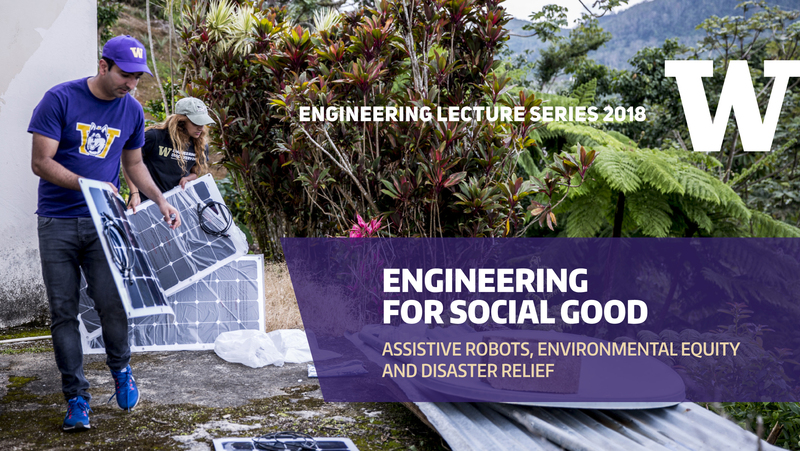 Their lectures — on assistive robots, environmental equity and disaster relief — are free and open to the public, but seating is limited and registration is required. The series kicks off Thursday, Oct. 11, in Kane Hall 130. 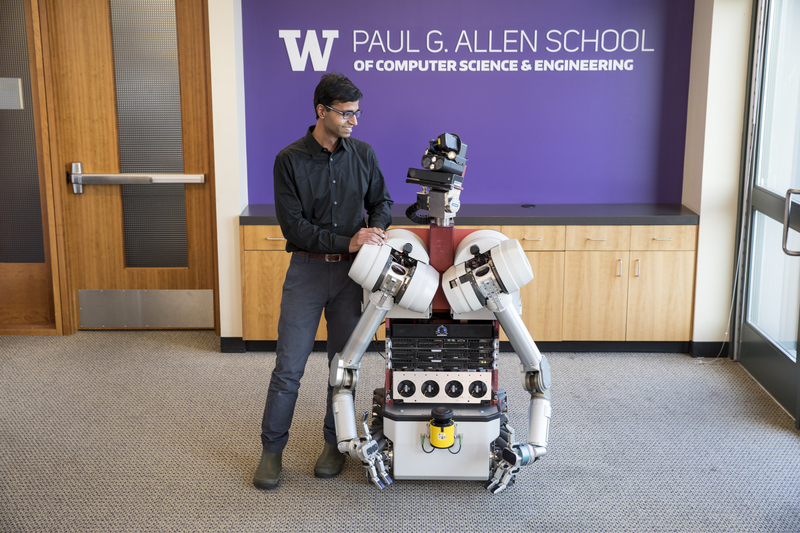 Siddhartha Srinivasa, an associate professor in the Paul G. Allen School of Computer Science & Engineering, will be discussing his work on building caregiver robots. 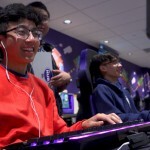 Robots with the capability to interact with humans as equals have potential to improve the daily lives of people who require assistive care, such as those with special needs. Learn how researchers are developing these robots using mathematical models and physics-based manipulation. 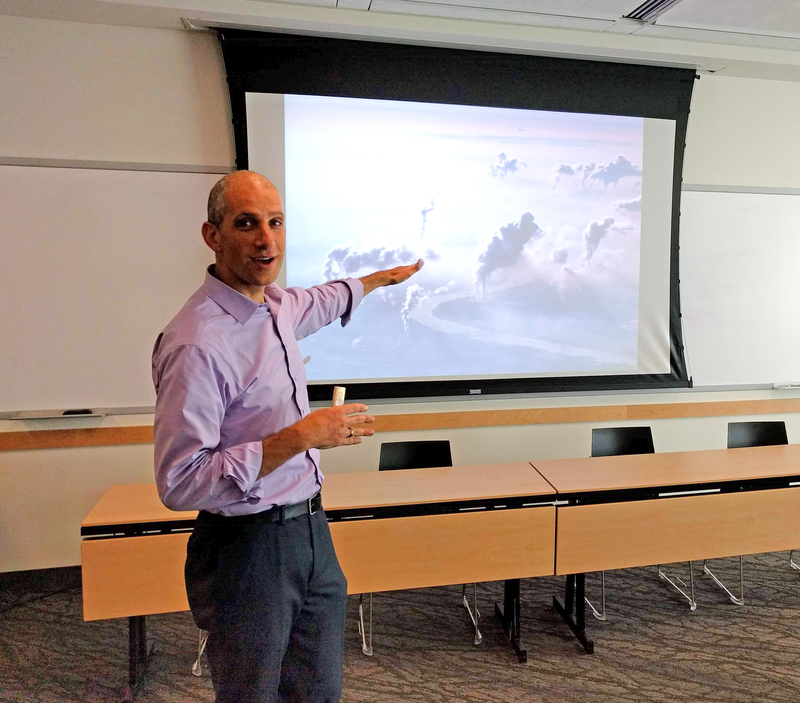 On Tuesday, Oct. 30, in Kane Hall 130, civil and environmental engineering professor Julian Marshall will talk about how air pollution is the leading environmental health risk in the U.S. — and is responsible for thousands of deaths each year. 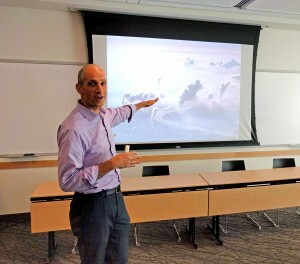 His research examines how air pollution impacts different groups and has revealed that, on average, people of color are exposed to more air pollution. Now he is testing solutions to reduce the exposure disparity. 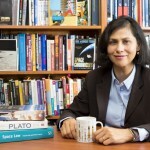 The lecture series closes on Tuesday, Nov. 13, in Kane Hall 130 with chemical engineering associate professor Lilo Pozzo, who uses nanotechnology for clean energy and healthcare applications. In September 2017, Hurricane Maria devastated Puerto Rico and left its residents without power, water and sanitation systems. A group led by Pozzo initiated a combined research and service project to assess the disaster’s impact on the health of rural residents. She will discuss how this project provided emergency clean energy that helped vulnerable people in this community. All lectures are free and start at 7:30 p.m. Advance registration, either online or by calling 206-543-0540, is required. All lectures will be broadcast at a later date on UWTV.